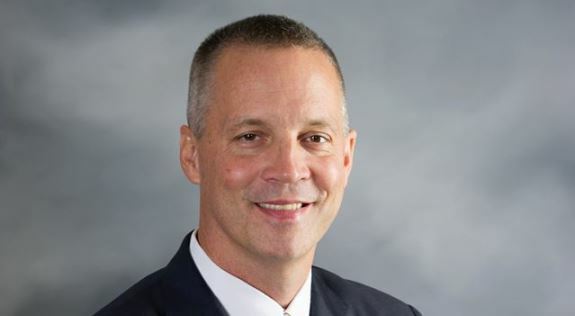 I am fortunate to be represented in Congress by principled limited government constitutional conservative Representative Curt Clawson (FL-19). Clawson regularly votes against the Washington Cartel and its big spending ways. He was also one of a small band of conservatives who stood by their principles when he voted for his fellow Floridian Daniel Webster for Speaker, even as the GOP insiders manipulated the process to ensure one of their own, Wisconsin establishment Republican Paul Ryan, would succeed the feckless John Boehner as Speaker. Clawson, a Purdue University basketball standout, Harvard MBA, and the retired CEO of a major automotive parts supplier, does not exactly fit the imaginary profile of a conservative “whacko bird” that the Washington Cartel and their fellow travelers in the establishment media like to promote. After the Paris attack of Friday, November 13, when the issue of what to do about the threat posed by Muslim terrorists – jihadis as they call themselves – entering the United States through Obama’s Syrian refugee resettlement program came to the fore, Clawson proposed a well-thought-out alternative: he introduced a bill that would bar the use of federal money to assist with relocation of the refugees that offered the greatest threat. Clawson’s bill would immediately bar the use of federal funds to process immigrants from Syria, Iraq, Libya, Afghanistan, or Yemen, until “a vetting system we can trust” is in place. “It is not safe or right to put this burden on Florida, especially in the wake of the reported findings in the Paris attacks revealing that some of the terrorists arrived in Europe posing as Syrian refugees,” Clawson told Ledyard King of the Ft. Myers News-Press Washington bureau. "Now that the facts and circumstances and safety have changed on a global basis, it's time to slow down  hit pause  and make sure that we have 100 percent airtight safety processes in place to ensure the well-being of all of our citizens, particularly in Southwest Florida," Clawson said in an interview with the Naples Daily News. Clawson said a pause in admitting refugees from Syria and surrounding nations where ISIS has a strong presence doesn’t indicate the U.S. isn’t a caring nation. Naturally, the Left in the form of Democratic Congressman Xavier Becerra and a myriad of open borders organizations, as well as the $10 billion a year “refugee” resettlement industry were quick to take to task Clawson and others who share his sensible concerns about the security threat jihadis posing as “refugees” represent. As we documented, Muslim Boston Marathon bombers Dzhokhar and Tamerlan Tsarnaev were welcomed into the United States as “refugees” and given welfare and other government benefits during their youthful inculcation in radical Islamist thought and terrorist tactics. The Tsarnaev brothers immigrated with their parents to the United States after 9/11 (in 2002) and were granted asylum, the only difference between refugee status and asylum being asylum seekers apply for refugee status from within the U.S.; refugees seek it from their home countries or other locations outside the borders of the United States. And Senators Jeff Sessions and Ted Cruz have documented some 72 other domestic terror “incidents” attributable to Muslim refugees or refugee-related individuals – in just the past year alone. Lest those on the Left, whose idea of “charity” is to throw taxpayer money at their favorite causes, while tossing a couple of nickels of their own money in the Salvation Army Christmas Kettle, accuse Rep. Clawson of being less than charitable, Clawson established, and still principally funds, a shelter for homeless teen mothers on the east side of Detroit – he’s charitable where it speaks the loudest – with his own money. We urge you to call your Representative and Senators (the Capitol Switchboard is 1-866-220-0044) tell them to demand that Speaker Ryan and the House Republican leadership put Rep. Clawson’s defund language in the upcoming Continuing Resolution that must be passed by December 11. Tell them you want security to protect our country, not show votes to protect incumbent members of Congress.